Fashion designer Oscar de la Renta has died in Connecticut at the age of 82. Oscar de La Renta, who most recently designed Amal Clooney’s wedding dress, was diagnosed with cancer in 2006. The Dominican-born fashion designer died at home Monday evening surrounded by family and friends and “more than a few dogs,” according to a handwritten statement signed by his stepdaughter Eliza Reed Bolen and her husband, Alex Bolen. “While our hearts are broken by the idea of life without Oscar, he is still very much with us. Oscar’s hard work, his intelligence and his love of life are at the heart of our company,” the statement said. 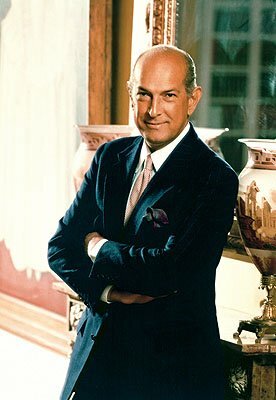 Born in the Dominican Republic in 1932, Oscar de la Renta left home at 18 to study painting in Madrid, Spain. He soon developed a love of fashion design and began an apprenticeship with Spain’s designer Cristobal Balenciaga. Oscar de la Renta made his name in the early 1960s when the then first lady, Jackie Kennedy, frequently wore his designs. He launched his own label several years later. The designer had been awarded the lifetime achievement award of the Council of Fashion Designers of America. Oscar de la Renta was also involved in the fragrance and accessories business.